SIMPLIFY YOUR BUSINESS. SERVICE PLUS. Service PLUS from Trelleborg Sealing Solutions is a ‘total solution’ program that can simplify the workflow in every part of your value chain; from engineering to manufacturing, procurement to aftermarket. A variety of enhanced services match our customers’ needs at every step of the business process, ultimately reducing total costs and throughput time. DISCOVER ALL SERVICES ALONG THE VALUE CHAIN. 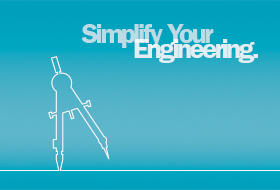 Simplify Your Engineering. Service PLUS. Need easy access to engineering information? Trelleborg Sealing Solutions offers an unrivalled range of apps and online tools that make the lives of engineers easier. From engineering calculators to product selection tools, aids to seal configuration to material compatibility advisors, our ever expanding range of exclusive digital services help you work smarter rather than harder. In addition, rely on our expedite sealing solutions for your prototype and functional sample needs. Discover how Trelleborg Sealing Solutions can simplify your Engineering. Digital tools and services for easier engineering. Expedite sealing solutions, including fully functional samples for testing. 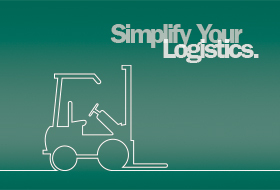 Simplify Your Logistics. Service PLUS. Want inventory that manages itself? Managing the procurement and stocking of multiple, often small items, can be very challenging. Trelleborg Sealing Solutions can help simplify your inventory process with a broad range of custom logistic options. Our SealScan app, for example, enables you to generate replenishment orders automatically and have items delivered directly to your production line. Our expedite services guarantee fast availability of sealing solutions. Discover how Trelleborg Sealing Solutions can simplify your Logistics. Automated Kanban process with SealScan app for iOS. Vendor and stock level management by Trelleborg. Expedite sealing solutions for punctual deliveries. 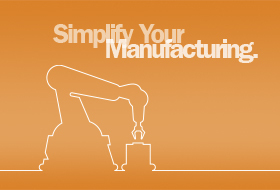 Simplify Your Manufacturing. Service PLUS. Seeking to increase efficiency of your production process? Trelleborg Sealing Solutions simplifies your value chain by delivering “ready-to-use” assembled components directly to your production line from one supplier, rather than many. Various marking and treatment options simplify quick identification of products and optimize handling of seals in the manufacturing process. Discover how Trelleborg Sealing Solutions can simplify your Manufacturing. "Ready-to-use" assembled components delivered directly to your production line. Services to optimize the identification, handling and mounting of seals. Expedite sealing solutions, even in small series. 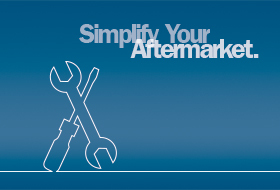 Simplify Your Aftermarket. Service PLUS. Targeting faster and easier service & repairs? When Trelleborg Sealing Solutions supplies a solution, we think beyond the product to the end of the supply chain. Specialized services support your aftermarket requirements, from customized seal kits and packaging to our express service QuickSeal; helping you get your customer up and running again when a repair is needed. Discover how Trelleborg Sealing Solutions can simplify your Aftermarket. Individual packaging solutions and seal assortments. Expedite sealing solutions with full flexibility in compound and design selection.